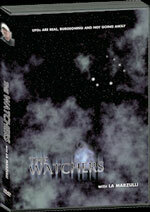 Subtitle: Luciferian Plan: "UFO's and Aliens are part of the New World Order. They are benevolent beings which will aid mankind in attaining the goal of becoming one humanity. They will appear at the proper time to enable mankind to make that Quantum Leap of Collective Consciousness -- when the The Christ appears." Copyright © 2011 Cutting Edge Ministries. All rights reserved. See full copyright notice below. 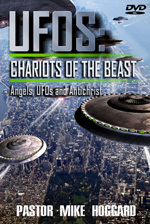 "UFO's and Aliens are part of the New World Order. They are benevolent beings which will aid mankind in attaining the goal of becoming one humanity. They will appear at the proper time to enable mankind to make that Quantum Leap of Collective Consciousness -- when the The Christ appears." Stand by for news that is far more shocking than any fiction, but oh, so very true, and Biblical. This news will seem shocking and crazy, as crazy as unsaved people felt Noah was when he was building his boat for 120 years. That crazy. "List of films featuring extraterrestrials" by From Wikipedia, the free encyclopedia listed alphabetically, with the year of each film listed in a column to the far right. When I printed out this list, it came to 10 pages, almost 300 movies and TV shows depicting aliens, miscellaneous space creatures and UFO's. This conditioning is so serious one has to ask, "why"? What is so important about aliens and UFO's that several decades of conditioning is necessary, at least necessary in the minds and hearts of Hollywood writers and producers. In her book, "Hidden Dangers of the Rainbow", Christian lawyer / author, Constance Cumbey quotes a New Age author, who says that "the Christ cannot appear until and unless a significant proportion of the world's population is pre-conditioned to accept him". 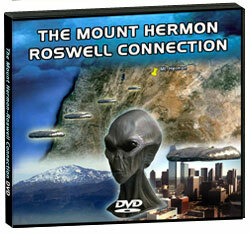 This long list of movies and TV shows constitutes significant "pre-conditioning" of the public about aliens and UFO's. Untold millions of average people now believe that aliens and UFO's exist. Most, however, still don't know exactly what they exist for and when they will come to Earth. Let us pause our examination of this UFO/Alien phenomenon for a few moments as we examine the time frame in which we are living, and the applicable Biblical framework. We have already demonstrated that we are living in the Last Days of time, the time which will see the appearance of Anti-Christ, the Great Tribulation, and the Second Return of Jesus Christ. And, we have already demonstrated that THE hallmark characteristic of the End of the Age is prophesied to be unparalleled deception. Let us examine this prophesied deception. 2 Thessalonians 2:1-3 -- In this section of Scripture, Paul addresses the misconception among the church at Thessalonica that the Day of the Lord has already occurred. Paul emphatically states, "Let no one deceive...you". Jesus stated the same warning against deception in Matthew 24:4; He has just been asked by His disciples what THE sign of the End of the Age would be. Jesus gave them many more signs than just one, but His first response was, "Be careful that no one misleads you, deceiving you and leading you into error". Jesus repeats this warning twice more, in verses 11 and 24. In verse 24, Jesus adds that "false Christs and false prophets will arise...and will show great signs and wonders, so as to deceive and lead astray, if possible, the very elect" (God's chosen ones). In other words, the End Time deception will be unparalleled; it will be accompanied by truly extraordinary signs and wonders. We are not to be deceived. 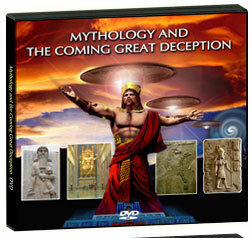 Truly, unparalleled spiritual deception is THE hallmark characteristic of the End Times. No one can understand the times in which we live, nor can anyone understand the New World Order, unless they understand Biblical prophecy and doctrine. This is the predicted great falling away of those who have professed to be Christians)..." We have spent considerable time exposing the great and unparalleled apostasy in which the majority of Christian denominations are participating today. We are at this point in world history today, fulfilling this part of this prophecy. Paul continues, "...and the man of lawlessness (sin) is revealed, ..." Of course, this man of lawlessness is the Biblical Anti-Christ, as predicted in Daniel 9:27 and confirmed by Jesus in Matthew 24:15. The major point which we want you to grasp from this passage is that the end result of this unparalleled deception will be the appearance of Anti-Christ. This is such a critical point, I want to repeat it: The planned end result of this tremendous program of deception is belief in the Anti-Christ. Paul continues, verse 9, " The coming of the lawless one, [the antichrist] is through the activity and working of Satan..." This verse tells us that the source of this End Time delusion will be Satan. Make no mistake about it, Satan's supernatural power will produce the most incredible deception the world will have ever witnessed. This deception will seem so incredible, people's minds will literally be blown away. At this point, we must remind our listeners that Satan and his angels, also known as demons, are capable of transforming themselves into human and non-human forms so as to deceive people. As Paul stated so eloquently, "..Satan himself masquerades as an angel of light." Keep this fact in mind as we study UFO's and Aliens. "... and will be attended with great power and with all sorts of pretended miracles and signs and delusive marvels.. all of them lying wonders -- And by unlimited seduction to evil and with all wicked deception for those who are perishing because they did not welcome the Truth, but refused to love it that they might be saved." The only people who will be deceived will be the unsaved; this truth ties in perfectly with Jesus' assertion in Matthew 24, where He says that the Elect, God's chosen people, would not be deceived. This deception of the unsaved takes on tremendous significance because of the next verse, "Therefore, God sends upon them a misleading influence, a working of error and a strong delusion to make them believe what is false". This very frightening verse reveals that God Himself gets involved at this point, deliberately hardening the hearts and minds of those people who have rejected the Truth of the Gospel. If this is your situation, you must resist the Salvation call of the Holy Spirit no longer. Turn now to Jesus Christ, while this world is still in the Age of Grace, before God sends this tremendously-powerful delusion upon the unbelieving world. Friendly beings able to live at peace, thus being able to teach us warring humans to live in peace. `The movie is a vehicle...It invites the audience to be less afraid of the so-called para-normal. And what better place to start than with the children? '...Everything is being done through the children..."
Everything is being done through our children, and has been for over 20 years. Thus, the first generation to be so conditioned are now having children, who are also being conditioned. What is the purpose? Remember that the Movie and TV industries are openly hostile to Christianity and are very obviously New Age. Also remember that the #1 objective of the New Age is to successfully stage the appearance of Anti-Christ. * 1 John 4:1, "Beloved, believe not every spirit, but try the spirits whether they are of God: because many false prophets are gone out into the world. 2 Hereby know ye the Spirit of God: Every spirit that confesseth that Jesus Christ is come in the flesh is of God." This statement, in Verse 2, states in the positive, that "every spirit that confesseth that Jesus Christ is come in the flesh..", but it also carries the negative connotation as well. We can also accurately state that such spirits "seek to sever Him" from being God. This is precisely what the False Cults, especially the New Age Religion, is attempting to do. Notice that the Apostle John does not question whether spirits actually exist; he knows demons exist and he knows that his Christian audience knows they exist. John is saying, "Test the spirits [which will arise], to see if they are of God." Notice also that the time frame context of this passage is the Age of Anti-Christ; these spirits will be denying that Jesus Christ actually became a man and has come in the flesh; indeed, they will be seeking to sever the historical, fleshly Jesus from the Divine Jesus Who was and is God. This is precisely what this UFO-Alien deception is attempting to do. Some people who have gone through this spiritual transformation begin to see an increase in their psychic awareness. (p. 83-84). The process by which their human consciousness was raised was the precise manner in which demonic forces work. It is thought transplant." (p. 78-79). At this point, I want you to be aware of the dangers of hypnosis, and how New Age hypnotists are using it. When a person undergoes hypnosis, they are surrendering their consciousness to the hypnotists. They can be programmed in any number of ways, especially to the point where they will respond to certain actions, in response to specific commands. People who report being contacted by aliens are being asked to undergo hypnosis so that they can "regress" back to the scene and "recall" their experiences with the Aliens, memories which have been repressed by their conscious mind. However, this is not what is happening. What is really happening is that the hypnotist is implanting scenes in the minds of the person who has been contacted. This person then "remembers" what they have been programmed with, and the "memory" seems so real to the contactee they really believe the lie themselves. In this way, they then become very effective witnesses that can and do convince other people. Stay away from hypnosis, even for medical procedures. Doctrines on the existence of superior races, of people with chosen missions, references to Atlantis and ancient astronauts..." (p.57, 103). Notice this binds UFO's with Nazism. But the New World Order is Nazism re-born. > Aliens utilize standard New Age terminology when they communicate with their human "contactees". The best illustration of this is their teaching to the "contactees" that "the Ascended Masters of the Hierarchy" are preparing to intervene again in world history, to lead mankind to a higher level of consciousness. "They will select a human person and endow him with superhuman powers and knowledge. This man will lead us to world government and world peace." (UFO: End Time Delusion, David Lewis, p. 46.
Who is this selected man? Maitreya the Christ, the Biblical Anti-Christ!! This match in wording and concept clearly shows that the "Guiding Spirits" of New Age writers are the same "Guiding Spirits" for the Aliens. Or does it mean that the Aliens are the "Guiding Spirits" which have been instructing New Age writers all these many years?! All these practices are classic occultism! 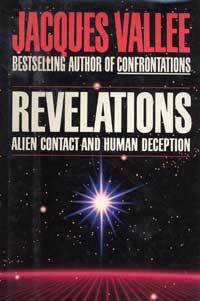 Further, as Christian author, David Lewis states in his book, UFO: End Time Delusion, "Without exception, every person claiming an [Alien] contact...had one thing in common. Each had a prior connection to metaphysical activity or cults. Some had been in devil worship, witchcraft, psychic phenomena, New Age, channeling...Those involved in direct contact with UFO aliens already had a connection to the dark side of the supernatural world." Thus, people today who have thus given themselves over to Satanic activities in some degree are the ones who are being used to deceive people further into believing in UFO's and aliens. Then, Lewis adds this comforting statement, "..no Christian..has ever had a direct encounter with an alleged E.T." (p. 15-16). Thus, God is already protecting His Elect from this Satanic deception. Praise His Holy Name!! Remember the Apostle Paul's prophetic warning in 2 Cor 11:14, "...Satan himself masquerades as an angel of light." To condition people to believe in the concepts of the New World Order, Satan has caused his demons to physically manifest themselves as Aliens, traveling in UFO's, complete with highly technological machines. Do not underestimate Satan; he is the Lord of this world, and he is now being allowed by the Holy Spirit to intervene in unparalleled ways in today's world. The results are going to be spectacular. However, we believe the world has seen nothing yet. Consider again Biblical teaching about Anti-Christ's kingdom. * Revelation 13:13, He performs great signs (startling miracles)...because of the miracles which he is allowed to perform...he deceives those who inhabit the earth commanding them to erect a statue in the likeness of the beast..."
For several generations, most people have been rejecting the Truth of Jesus Christ. The inevitable end result of this rejection is that people then stop reading the Bible, or applying it in any way in their lives. Satan is then able to implant the idea that the Bible is not to be taken literally, that it is just a collection of myths and legends. 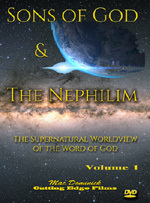 Once people begin to accept the idea that supernatural beings, either Godly or Satanic, do not exist, then Satan can begin to proceed to the next step. Step #5 is to convince people that the only reality which can be accepted is that which can be observed through our five senses. If man can sense something through one or more of his physical senses, then he will believe it exists. Satan then proceeds to the next step of convincing men that if something works, it must be true. Thus, men become susceptible to demonic activity, because their system "works" with great power. Further, such men are incapable of properly identifying this demonic power because they have already mentally ruled out the possibility that supernatural beings exist. Finally, Satan begins to proceed, in stages of ever-increasing frequency and power, to his final Alien deception. Alien beings and UFO phenomenon begin to appear with increasing frequency and contact. Since men disbelieve in the existence of Supernatural beings, they assume the reality of these demons, accepting the lie which these demons are telling, that they are an Alien race from another world. 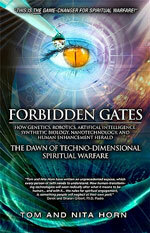 This other world is supposedly more technologically and spiritually advanced than Planet Earth. Therefore, when the Aliens of this more advanced world tell us their religion, we are expected to adopt it, rejecting our own ignorant, uninformed, and outmoded religions, especially Christianity. In ancient times, this story of deception continues, Aliens visited Earth and intervened in history to give man increased knowledge, from which he was able to build such ancient wonders as the pyramids. Finally, this story teaches that Aliens carried out genetic experiments which changed humans from the Stone-Age being he was to the modern man of the last several thousand years. Now, the time has come, the Aliens say, for them to intervene again in world history. This time, they will intervene to save man from himself: from his wars, hatreds, spiritual illiteracy, and from his environmental damage. These Aliens will accomplish all this by raising up a man who will be imbued with a special level of consciousness, and who can lead the world into that same level of consciousness. Of course, this man will be Maitreya the Christ, the Anti-Christ. In Revelation 16:13-16, we see three spirits of demons which come out of the mouth of Anti-Christ; they perform such great signs and wonders that they deceive the rulers of the earth. This is precisely the part of the Plan which Aliens are to perform. They will especially deceive the Presidents, Prime Ministers, Kings, and Queens, of the governments throughout the world. Everywhere the message will be the same. "We have come to help lead our Earth brothers into a new level of consciousness of which Maitreya the Christ is speaking." Aliens and UFO's will literally hover over and around Maitreya as he is staging his appearance. This is the Plan. What will be the reaction of the vast majority of the peoples of the world? They will be absolutely astounded beyond words or imagination. Since their minds have already rejected the concept of the physical existence of demons, and have been conditioned to accept as reality anything which they can observe through their physical senses, they will accept these Aliens and their incredible claims. Alien conditioning through books, magazines, TV, movies, and even the trash magazines of the Enquirer variety, will have taken hold. People will believe and allow themselves to be lead away into spiritual error. 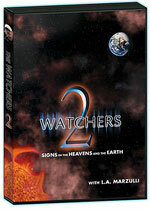 They will accept the claims of Maitreya the Christ, the Anti-Christ, and will be doomed forever. Those who have given themselves over to the occultic practice of meditation whereby they have communed with their 'guiding spirits' will be predisposed to believe. Likewise, people who have given themselves over to occultic hypnosis, during which they have been preprogrammed to believe, will be deceived. 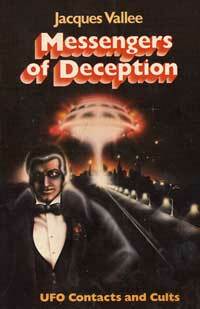 People who have filled their minds with Science-fiction novels will be predisposed to believe. And all mankind will believe because they are without the Truth of Jesus Christ. Upon all such peoples, the Godly deception will fall, to permanently set their deception. Biblical prophecy will have been fulfilled. The Anti-Christ will deceive the entire unsaved population of the world. He will proceed to sign the peace treaty with Israel and the Great Tribulation will begin. Do not be deceived. The hour is late, indeed. Copyright © 2011 Cutting Edge Ministries. All rights reserved. This password protected article and its contents are protected under the copyright laws of the United States and other countries. This article is provided by subscription only for use by the subscriber and all other rights are expressly reserved by the copyright owner. Copying and pasting this article, in whole or in part, into e-mails or as attachments to e-mails or posting it on the Internet is strictly prohibited and may subject the offender to civil liability and severe criminal penalties (Title 17, United States Code, section 501 and 506).